Scheduling interviews is a seamless task with Jobsoid. You can schedule interviews for a single candidate with the help of our integrated email and calendar. Once the interview is scheduled, you can send out interview invites to your candidates. To know more about how to send interview invites, refer Sending Interview Invites and Getting Confirmations . 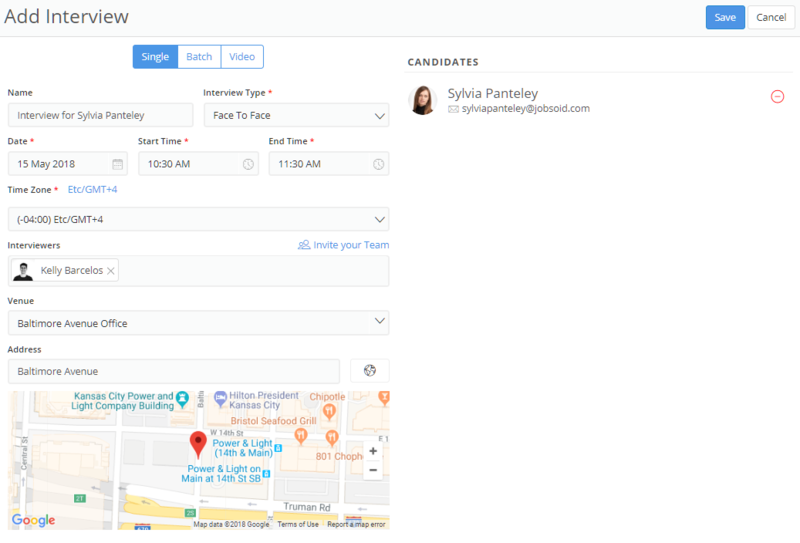 You can also schedule an interview for a candidate directly on his profile by clicking on (+) Schedule Interview on Interview Tab.